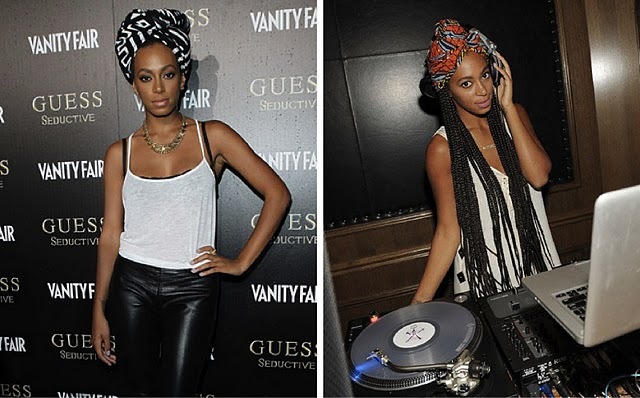 ive been a fan of solange since Sand Castle disco, but now that she has decided to go all 'Naturalish-Africanish' i just love her more. I think it kind of shows the kinda person she really is and that she has passed the stage of being who everyone wants her to be. Well first off, she Shaved hEr Head!!!! ive been wanting to shave mine my hair is in a sorry state. im tired of having weaves on they just cause heat and braids just pull all of my hair out but then my mum wont let me and since im still living under her roof i have no choice. I have decided to cut it once i turn 21 though and then not relax it again. 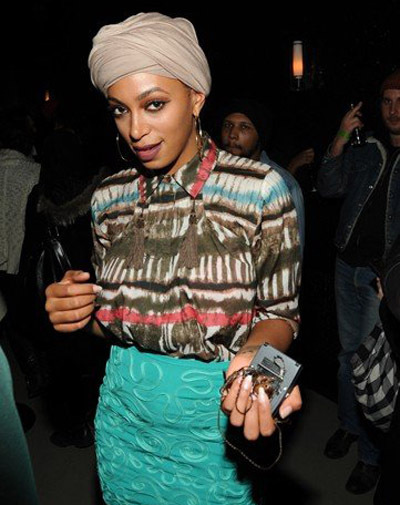 Back to solange, i love her style, very eccentric but still simple and i also love that she also wears african prints. 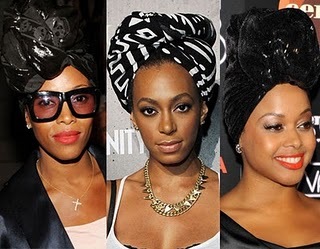 i have now become obsessed with headwraps because of how she and June Ambrose make it look (ambrose is the one wearing glases btw and chrisette michelle is on the other side). i can manage to pull it off. ill put up pictures of me and my headwrap once i learn how to tie it lol. and when i take my hair out, head wraps all the way mehn!! Did the monochrome look+T-bar heels today. She's my style crush too.